I have been working on the Gibson Girl trained skirt, hand-sewing the hem on the train. Right now I am trying to figure out the lace flounce before I post some progress photos. However, my undergarments are ready! I sewed a petticoat out of a striped taffeta I’ve had for years. (You may recognize it as the lining to this coat). 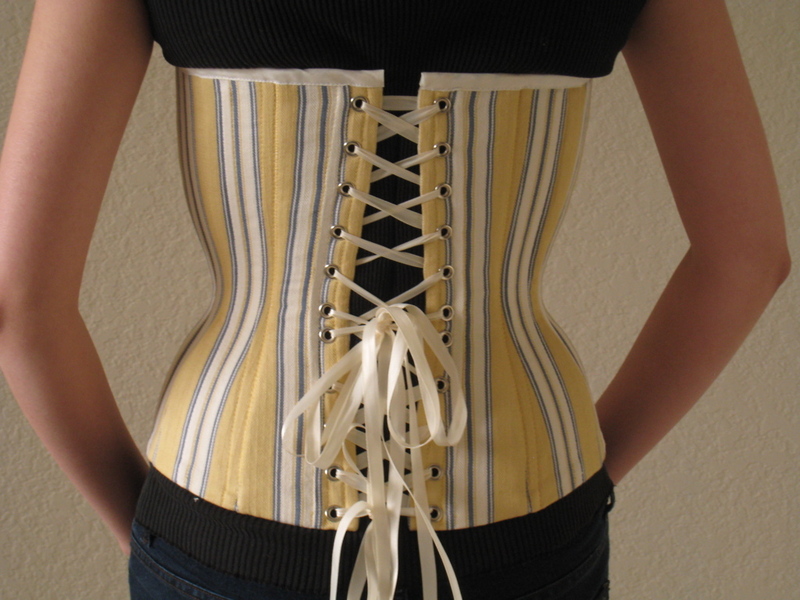 Keep reading for more pictures of the petticoat, and details of my beautiful new corset! No pattern was used for the petticoat. It is made with 3 roughly trapezoidal shapes. The width of the top of each trapezoid is equal to about half my waist. 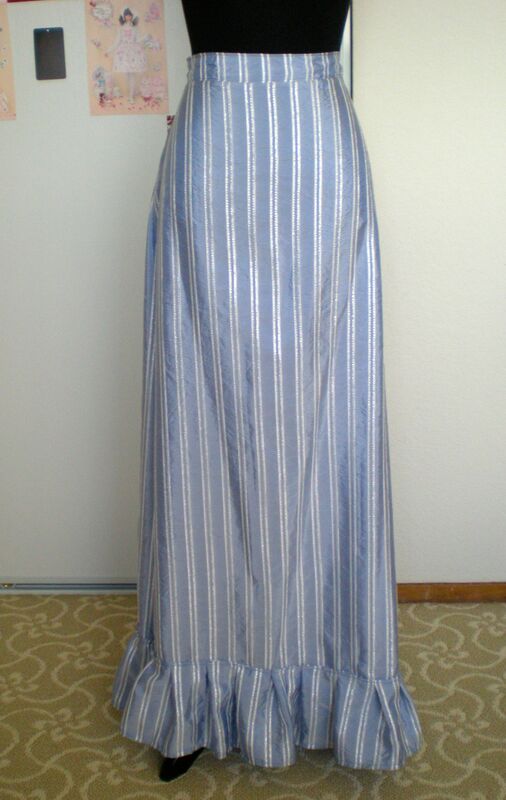 The front is flat, with the extra pleated into the back to make a bit of fullness for the Edwardian silhouette. 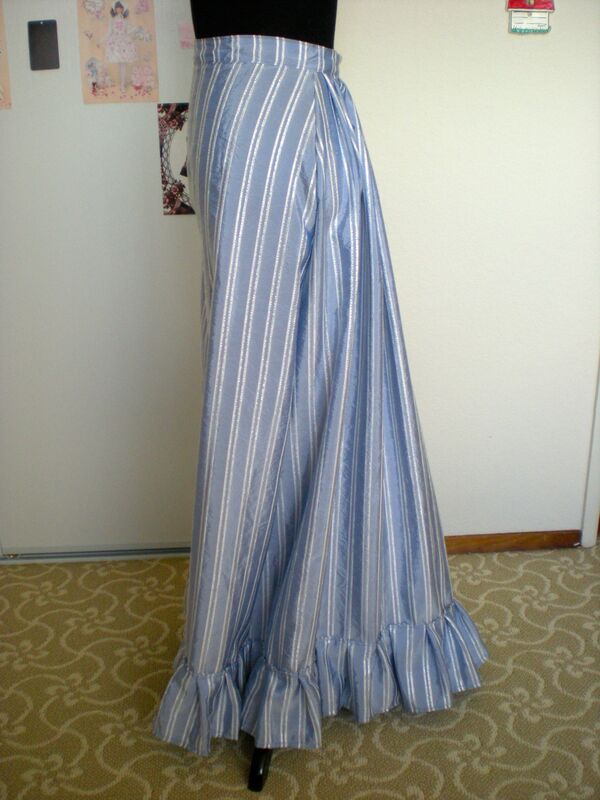 The ruffle along the bottom is a long pleated strip. 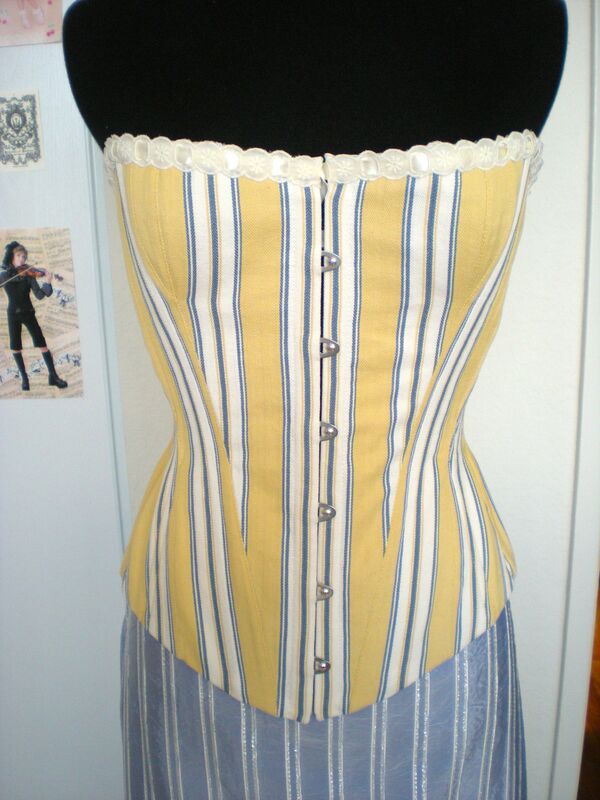 I will be wearing the petticoat with this lovely corset, commissioned from Fitting and Proper. Here are some pictures of me wearing it for the first time, before the lace across the top was added. I am still breaking it in gently, so it is not fully laced up yet. I am wondering how small I can get in it! 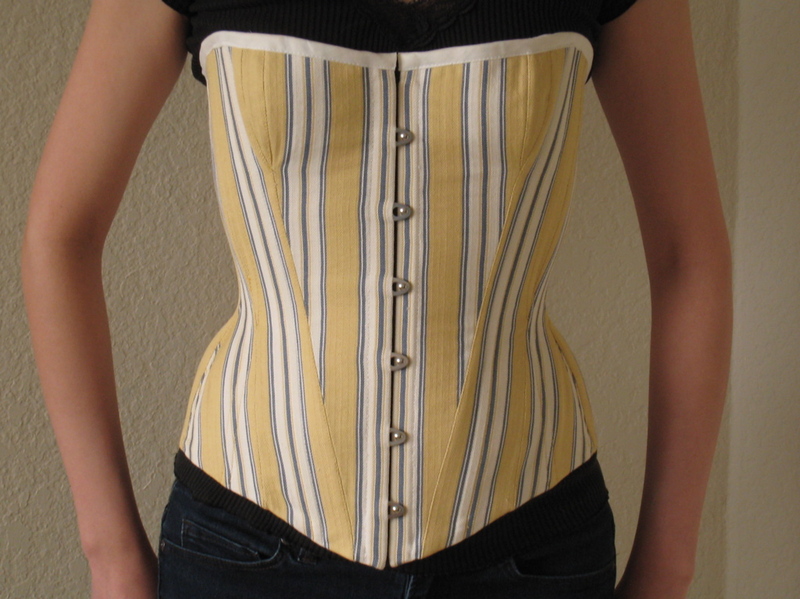 The outside of the corset is a thick striped cotton. The inside is a very sturdy hemp fabric used in place of coutil.